One of the 10 most fuel-efficient cars available on the market today, your Southern CA Ford Dealers couldn’t agree more with the experts at Consumer Reports who say that the 2017 Ford C-Max Hybrid is a “clever, quiet, spacious, and practical hatchback”. With built-in technology that allows the vehicle to operate more efficiently with less aggressive heating and cooling, softer acceleration as well as fewer changes in engine behavior Ford’s all-new hybrid model offers the latest in power and safety advancements available. Rather than our giving you a sales pitch, why not keep reading and find out why others are enjoying Ford’s salute to earth-friendly driving. According to the experts at Motor Trend, “when stabbing the go-pedal, you’ll be treated to some surprising pep in the C-Max’s step. Getting the 3664-pound C-Max to 60 mph from dead stop took 8.2 seconds on our track — nearly 2 seconds quicker than a Prius V (10.1 seconds)”. Listed in the top-5 of all available hatchback wagons by U.S. News & World Report agrees that the C-Max Hybrid “has a more engaging drive than many other hybrids thanks to its communicative steering and energetic acceleration”. The reviewers behind the popular automotive blog WhatACar.com agree that the driving experience of the C-Max outshines much of the competition. “There’s loads of front-end grip, so you can enjoy slinging it in to corners with more vigor than you would in any of its rivals, and the steering weights up well to give you a decent sense of connection”. If you are going to own a hybrid model, why not own one that helps you become a more efficient driver? 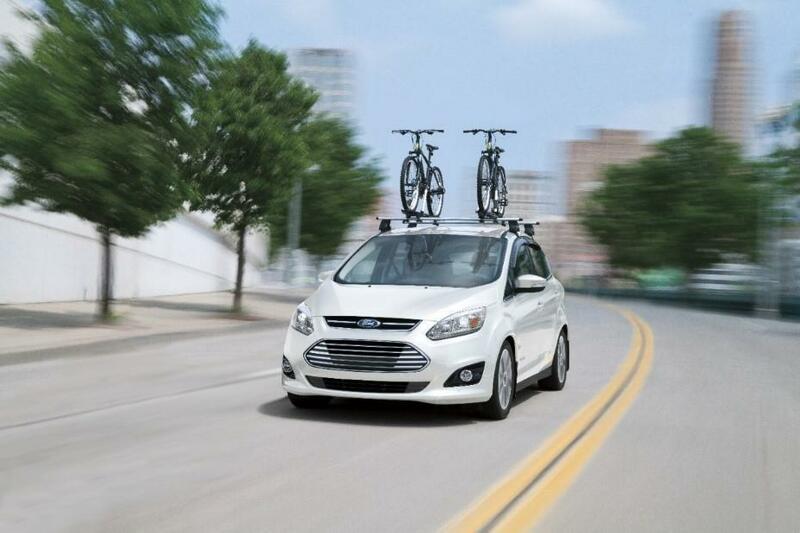 The 2017 Ford C-Max Hybrid SmartGauge with EcoGuide system provides real-time information presented on dual LCD screens, which helps coach you to drive more efficiently, so you can get the most out of your vehicle. As the efficiency of your drive increases, so does the number of lush green leaves and vines displayed. With customizable screens, you can monitor a range of fuel economy and trip data or check the efficiency of the Regenerative Braking System, which actually helps recover energy back to your battery. The best thing about owning/driving a hybrid like the Ford C-Max, is knowing that you can even make a few bucks by qualifying for the new Qualified Plug-In Electric Drive Motor Credit. So what are you waiting for? Get to one of your Southern CA Ford Dealers today and test drive the latest in Ford quality and fuel efficiency.